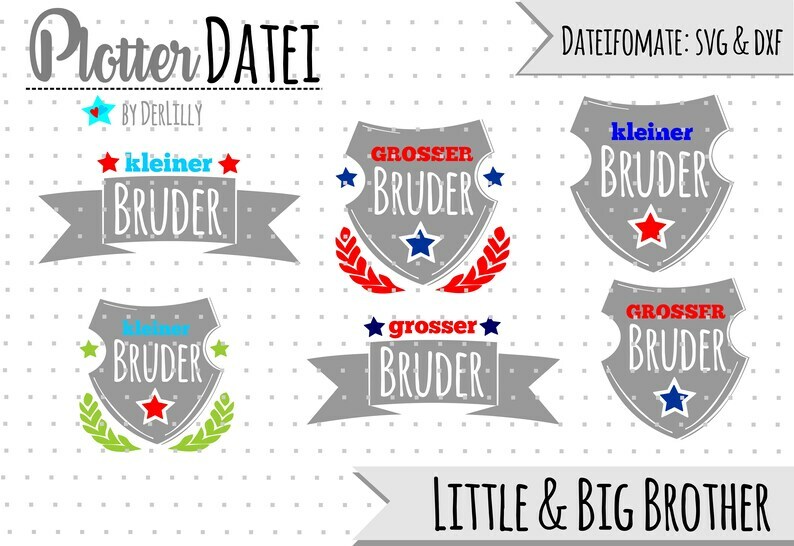 Hey hey guys – a motif for the small and/or Big Brother each in three different finishes. The motif can be plotted in monochromatic or multi-colored for "more experienced". It is a "DIY" file for cutting slides or paper with a standard silhouette or brother cutter. With motifs made with this file/s you can pimp and beautify T-shirts, long sleeve shirts, but also bags, pencil, bags and Täschlein. You can also plot and apply wall stickers or Türsticker from vinyl foil. You can resize the motif/motifs-depending on what you want to embellish. You can also use the plotted motifs to hide stains on clothing, for example. The file is intended for the private area! 023 Plotterfile I'm already...... with race car! 08 Plotterdatei Herr Dachs !